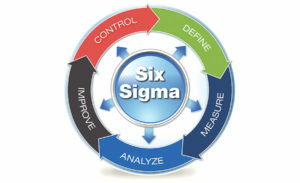 6sigmastudy have been offering six sigma certifications and trainings for more than one decade and is one of the reputed names in this field. Six Sigma Green Belt (SSGB) course focuses on providing students with an understanding of the various Six Sigma tools and techniques useful to improve the production process and minimize defects in the end product with a greater focus on the practical implementation of these tool and techniques in the organization. Lean Six Sigma Green Belt (LSSGB) and Lean Six Sigma Black Belt (LSSBB) certification focuses on testing students on their comprehensive understanding of the various Six Sigma tools and techniques in conjunction with Lean. The objective of the online value added course (complementary with certification exam) is to develop a comprehensive knowledge base that helps students to function effectively as a Lean Six Sigma Black Belt in various projects. The tools and techniques cover both quantitative and non-quantitative analysis along with other necessary knowledge to improve the production process, minimize inefficiencies and increase with a greater focus on the practical implementation of these tool and techniques in the organization. For more details, please contact us at info@pmtsi.com. CBAP Online Prep Module Agile: Due Programmatori, Meglio di Uno?